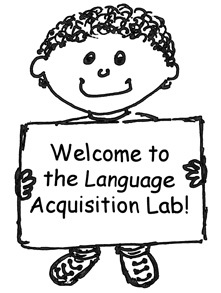 Welcome to the Language Acquisition Lab in the Psychology Department at the University of Illinois. We investigate how infants and children learn to speak and understand their native language. The lab was established in 1989, and our studies are supported by funds from the National Science Foundation and the National Institute of Child Health and Development. We explore many topics, including how infants and preschoolers learn how sounds are combined to make words of their native language, how words are combined to make sentences in the native language, and what those sentences mean. We seek both to discover what young children at various ages know about the words and rules of their native language, and the learning mechanisms that make this development possible. Our studies with young children are complemented by studies with adults, and by computational modeling. 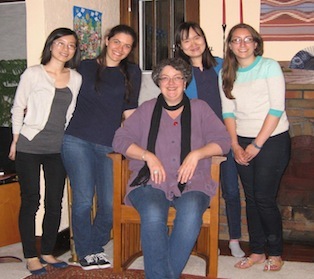 All of our studies are made possible by the generous participation of parents and children. If you might be interested in participating in our research, please explore the links above to find out how.